If you’re looking for a great alternative to the traditional gas-powered mower, corded-electric lawn mowers offer a more cost effective option, less maintenance and no need to run to the nearest gas station to refuel. As an added bonus, electric mowers do not create any emissions and are much quieter than their traditional gas guzzling counterparts. 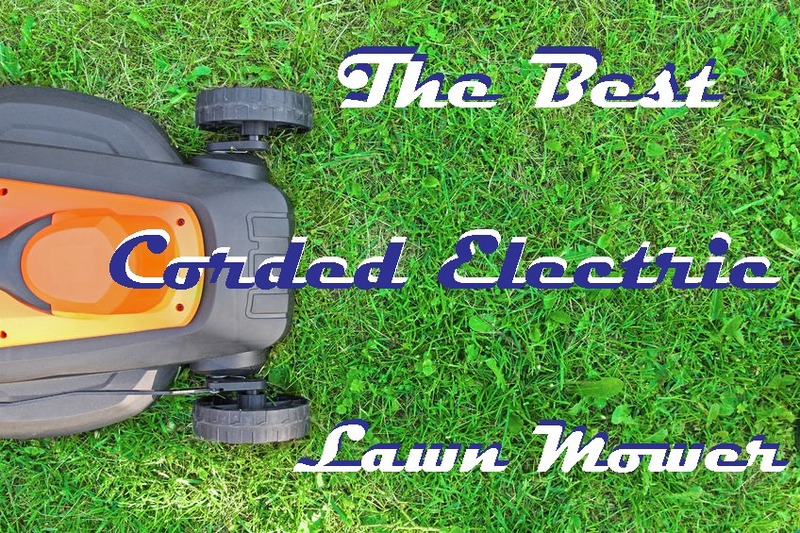 Let us help you find the best corded electric lawn mower for you. Corded-electric mowers are best for those with small to medium sized yards who don’t mind maneuvering an electric cord from time to time and prefer a quieter, more user-friendly mowing experience. Keep in mind a corded-electric mower means you will need to ensure a plug is a reasonable distance from where you will be mowing and you may also want to invest in an extension cord to reach the outermost parts of your yard. Of the electric mowers reviewed here, a clear favorite emerged early on — the Greenworks 18-Inch 12-Amp Corded Lawn Mower 25012. 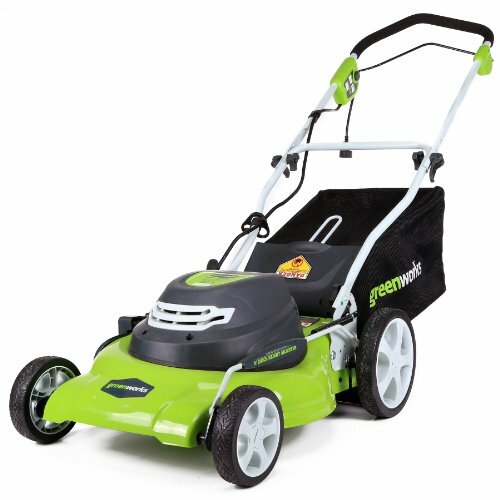 The Greenworks 18-Inch 12-amp Corded Lawn Mower 25012 is reasonably priced for the value, provides green energy and no carbon footprint or emissions, is lightweight compared to heavier gas-powered models, comes almost completely assembled right out of the box and cuts grass quite effectively. Although this model does not come with a grass catcher bag or mulching capability, it still received some of the highest ratings from users. Read on below to learn more about some of the runners-up for the best electric-corded mowers on the market. The Greenworks 18-inch 12-Amp Corded Lawn Mower 25012 is an eco-friendly take on the traditional gas-powered, push lawnmower. This particular Greenworks model is lightweight, electric and touts leaving a zero carbon footprint with no need for regular tune-ups or maintenance. It’s appropriately-sized wheels and adjustable height make lawn maintenance an easy task for users. Boasts a powerful 12-Amp electric motor that effectively trims even the toughest grass. Has a durable steel 18-inch cutting deck. Comes with a 2-in-1 grass cutting and mulching capability feature that cleans up grass clippings and mulches yards. Provides a 7-position height adjustment that offers a range of cutting heights from 1 3/4-inch to 3 1/8-inch to get a precision-like cut. Maneuverability around flower beds and uneven terrain is made easy with 7-inch front and rear wheels. A forgiving 4-year warranty is offered by Greenworks, which is double the industry standard. This electric mower produces zero emissions and does not require gasoline, it is simply powered by an electric cord plugged into an outlet. Storage of the mower is simple when not in use. It can be hung up or stored with ease in a garage or shed. Due to its lightweight, this push mower is easier to carry and store when not in use. Since there is no gasoline engine, this model has a quieter user experience compared to traditional gas-powered mowers. Cleaning the mower is relatively simple and can be done by removing lawn clippings from the blade after each use. Since the mower is electric, it is readily available for use time after time. There is no need to worry about battery power, charging or maintenance because the mower is electric. Height on the mower is easily adjustable making it suitable for just about any user’s height. 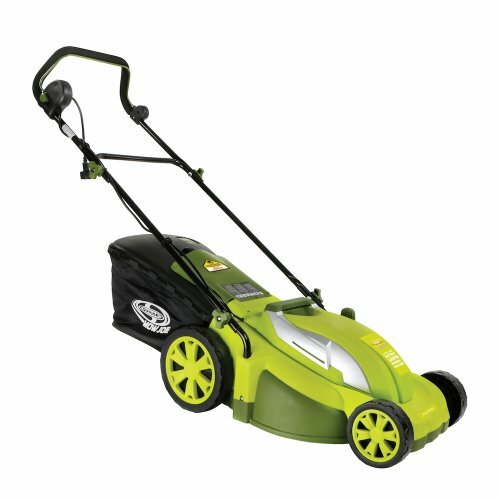 This model maneuvers well and leaves lawns cut evenly without leaving lawn clippings or patches of grass left behind. The low price of this model makes it cost effective for consumers. This particular model does not come with a grass catcher bag for catching grass clippings, so clean up must be done manually after each use. The weight of this mower could be seen as cumbersome for some users, as it weighs in at 46 pounds. Overall power of the motor could be improved upon, as well as blade sharpness. Maneuvering the electrical cord around while mowing could be seen as a downside and hazard regarding this product. The rear plastic protection flap under the mower may not function correctly, and could potentially get stuck under the mower and get destroyed but does not hinder function. Repairing the mower or getting replacement parts can be an issue based on the consumer’s location relative to the manufacturer. The settings for the cutting height of the mower could be made better by being lowered further to the ground for a more precise and accurate cut. This mower is best for smaller yards, as the electrical cord can only stretch so far. Otherwise, an extension cord is recommended. Overall, consumer feedback for this product was very positive and the Greenworks 18-inch 12-Amp Corded Lawn Mower 25012 received a high rating from those who reviewed it. Many reviewers gave the product the highest score possible, since it met and sometimes exceeded their expectations prior to use. Those who reviewed this product really liked the fact that they did not need gasoline, that the product was quiet and eco-friendly, generally lightweight, easy to assemble right out of the box, did a satisfactory job of mowing the lawn and did not require a lot of maintenance like traditional push lawnmowers. Consumers also liked that the height of the mower was adjustable making it user-friendly for people of differing heights and that it was very easy to use (just plug in and push start). Those who purchased and reviewed this product also liked the “better than average” warranty, and viewed the low price as an additional positive attribute of this product. The Greenworks 20-Inch 12-Amp Corded Lawn Mower 25022 is designed to offer an electric, cleaner, greener experience ideal for those with small to mid-sized yards. This model features a 20-inch wide cutting path and powerful 12-Amp motor that is both user-friendly and effective. Sports a 20-inch steel mower deck and 20-inch wide cutting path ideal for clearing sections of lawn efficiently. Boasts a powerful 12-Amp Motor that aids in its mulching and cutting capability. Comes with 3-in-1 capability that includes mulching, as well as a side and rear discharge bag. Has a 7-position single lever for height adjustment that allows for a precise cut with settings from 1 1/2-inch to 3 3/4-inch respectively. Is simple and easy to operate with a push to start button. Provides a user-friendly manual drive system. Includes foldable handles ideal for compact storage just about anywhere. Maneuverability is not an issue with 10-inch rear wheels and 7-inch front wheels. This model readily mows the lawn but can also includes the option to mulch and includes a side and rear bag for easy cleanup of lawn clippings and debris. The foldable handles on the unit make storing the mower simple and convenient. The push to start function makes starting up the mower and cutting the lawn effortless. Because this model is lightweight, it is easier to maneuver than some traditionally heavier mowers, this model weighs in at 56 pounds. The option to alter the height of the mower makes it simple for users of any height to mow comfortably. Since it is electric, it does not contribute to environmental pollution or produce any emissions and does not require maintenance. This model is smooth and does not make a lot of noise. The rear and side bags are easy to remove and reattach when necessary. The larger rear tires provide a smoother ride and more user-friendly experience. This model is backed by a 4-year tool warranty under the manufacturer. While this model has many intriguing features, is very user-friendly and caters to the environmentally-conscious, it does have some underlying flaws. This particular model does not come with an extension cord, so the extension cord must be purchased separately. Moving the cord around could be viewed as cumbersome while trying to mow the lawn, especially with larger yards and those with trees. Overall, the construction of the mower could be improved upon as some of the plastic parts were described as poorly made or flimsy by some users. Some users reported this model stopped working, overheated or caught fire without any explanation after only a few uses. Others reported this model damaged circuit breakers. The side and rear bags fill up quickly and have to be emptied often so they do not weigh down the mower and cause the front of the mower to lift up. Unfortunately, the Greenworks 20-Inch 12-Amp Corded Lawn Mower 25022 received a few bad reviews from consumers who purchased this product and wanted to love it but simply couldn’t due to the fact it malfunctioned shortly after purchase. However, this model still managed to have a positive rating overall. Users really liked the fact that this model was lightweight, quiet, non-polluting, did not require gasoline and did not emit any fumes. Users also noted that they liked the mulching capability and that the mower came with attached cleanup bags. Those who used this product also noted they liked the lack of maintenance associated with an electric mower, but some found the electric cord to be cumbersome while mowing. Others found that they liked this product because it was convenient, easy and cut the lawn to his or her satisfaction. A few reviewers noted that this model stopped working only after a few uses, caught fire, overheated or ruined circuit breakers. 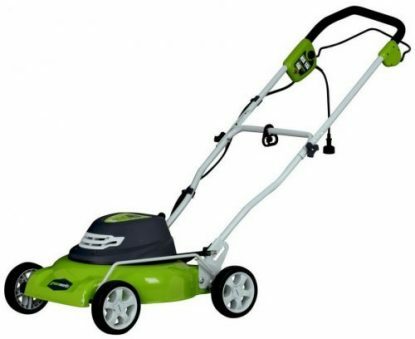 Most consumers who reviewed this model found that they enjoyed the lawn cutting capabilities and features of this particular model for the list price and seemed to be pleased with the overall quality of the product. The Earthwise 50214 14-Inch 8-Amp Discharge/Mulching Corded Electric Lawn Mower does not require any gas or oil and does not produce any fumes, making it a great choice for environmentally-minded individuals. This particular model is user-friendly and boasts a 2-in-1 system that includes a side discharge and mulching capability. The single level height adjustment makes mowing the lawn a less daunting task for users and leaves lawns looking manicured. This model packs 3700RPM and a powerful 8-amp motor to keep your lawn trim, with the 2-in-1 capability to mulch and side discharge for easy cleanup. The single level height adjustment offers a range of cutting heights from 1 1/2 inches to 4 inches making it easier to get a precise cut each and every time. The handle is easily adjustable and has a comfortable “V” handle grip. The handle folds easily and conveniently for storage purposes. Maneuverability and mowing is made easy by the 5.5-inch front wheels and 6.5-inch rear wheels. The efficient 14-inch cut width makes clearing sections of grass effortless and precise. This model includes an appropriate cord retention hook. This model is small and lightweight weighing in 36.4 pounds making maneuverability and moving the lawn mower from location to location an easy task for most. This model boasts superb mulching capability to keep landscaping looking its best. The single level height adjustment makes changing the depth of the blade uncomplicated for the user, making mowing different lengths of grass a simple task. Because this model is on the smaller side, it is best for smaller yards but is adept at cutting taller grass. Although this model is light and small, for its size, this model is powerful and reliable. This model is very quiet and does not produce any emissions or fumes like a traditional gas mower. It is easy to assemble right out of the box for most users. All that needs to be attached is the push bar to the rest of the mower with a few screws. This model comes with a 2-year warranty from the manufacturer. This model does a fine job of getting around and through small branches and debris from trees in the yard. The electrical cord gets in the way while mowing and can prove to be difficult to maneuver while mowing. This mower emits a strong plastic smell noted by many users that was displeasing. Those with larger yards will most certainly need an extension cord to reach all areas when mowing and due to the mower’s smaller nature, it could take longer to mow larger areas. Some noted that this mower was not powerful enough to get the desired outcome they wished for when mowing the lawn and cut unevenly, requiring multiple passes over the same spot. Some users noted that they disliked how small the mower was in size compared to traditional push mowers. Others noted that this model did not do well with edging and that they did not like the narrow cutting width of this model. This model does not come with a collection bag for debris and lawn clippings. This model does not come with an electrical cord, it must be purchased separately. Consumer feedback on the Earthwise 50214 14-Inch 8-Amp Side Discharge/Mulching Corded Electric Lawn Mower was mixed, but overall positive. Reviewers gave this particular model a high rating despite some negative aspects and overall flaws of the product. Users noted that they liked how light, small and easy to maneuver this model was while others noted that they preferred a larger mower. Others liked the reliability of this model and how easy it was to assemble and use right away. Many really liked the mulching capability and the fact that it did not require maintenance, oil or gasoline. Reviewers did not like the strong plastic smell the mower emitted. Others noted that keeping the electric cord out of the way of the mower while mowing was a pain. Some users believed the mower was underpowered and produced an uneven cut that had to be passed over multiple times for the desired look. Others complained it was best suited for a smaller yard. Those who purchased and reviewed this model viewed it as a good purchase at a decent price for a quality product that did what it was advertised to do. 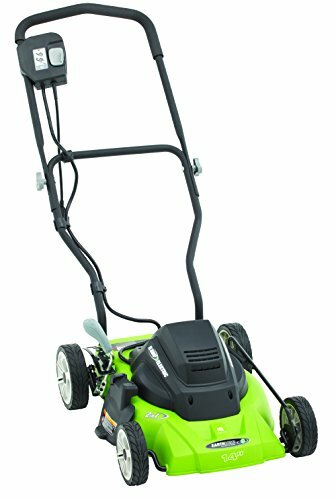 The Sun Joe MJ403E Mow Joe 17-Inch 13-Amp Electric Lawn Mower/Mulcher makes lawn cleanup a breeze in a green-collar way without having to worry about maintenance, gas, oil or tune-ups. This lightweight electric push mower cuts a 17-inch wide path and has a 12-gallon rear bag for quick and easy cleanup. With a 7-position height control adjustment lever, grass can be tamed at just about any length necessary. This model is hassle free and requires no gas, oil or tune-ups ever — it just needs to be plugged in and turned on. The powerful 13-amp motor cuts a 17-inch wide path with ease in any lawn. This model has the ability to tailor the cutting height with a 7-position height control adjustment lever from 0.98 to 2.87 inches respectively. This model offers a user-friendly convertible mulching and mowing function perfect for landscaping. The manufacturer offers a full 2-year warranty on this model and it is ETL approved. This model sports a 12-gallon rear bag for debris and lawn clippings, making cleanup simple. Since this model is lightweight, weighing in at just 33 pounds, maneuvering around the yard is straightforward. Since this model is so lightweight and agile, it is easy to maneuver around tight spaces, flower beds and other obstacles found in yards. This model does not make any loud noises, making it very quiet compared to a traditional, loud gas lawn mower. The list price is in an affordable range for most consumers. The instant start option makes starting the mower up easy and hassle-free. The 13-Amp motor creates adequate power to trim different lengths of grass. Storage is very easy and is done by folding the upper handle down and loosening a few knobs on the side of the mower. This model comes with a 12-gallon rear bag for clippings and debris that is easy to take on and off of the mower. Because the mower is lightweight, it makes it easy to carry and move from location to location if needed. Because this model is electric, there are no gas fumes and no emissions from this model. An electrical cord is included with this model. The design of the mower could be improved upon, since some users noted that the handles come off of the grass catcher and others noted that grass clogged the motor and fried it. In a few instances, the mower stopped working shortly after purchase and the engine stopped working out of the blue. This model could be improved upon by adding a stronger engine, as some found this model to be underpowered and it fell short of their expectations. Issues with the electrical cord were prevalent and the cord became unplugged easily in some instances. Moving the electrical cord around while mowing could be seen as cumbersome. The mulching bag can fill quickly and have to be emptied numerous times while mulching. Assembly of this model proved to be fairly difficult for some users. This model is not self-propelled and does take some physical stamina to move around. The height of the model cannot be adjusted to suit the user’s needs, which could potentially be an issue for taller users and overall comfort. The Sun Joe MJ403E Mow Joe 17-Inch 13-Amp Electric Lawn Mower/Mulcher received mostly positive reviews from users and a high rating with only a few complaints regarding this particular model. Overall, users found this mower to be lightweight, have adequate power, mulch well and have a favorable design. Users also noted that the mower was easy to maneuver, even in tight spaces. Others noted that the mower is easy to carry due to its lightweight and that storing the mower proved to be fairly easy. Some reviewers noted that they purchased this particular model due to its ozone-friendly nature and low-maintenance needs. 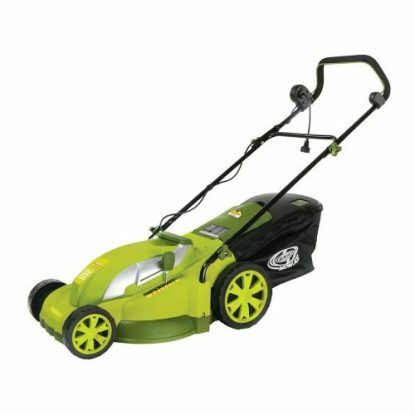 Regarding negative attributes of this particular model — reviewers cited a poor design, some users found that the mower ceased to work shortly after purchase, and others noted that it seemed underpowered. It was also noted that moving the electrical cord around was a hassle and that the mulching bag filled quicker than expected. Other than a few flaws and issues with this model, the overall feedback was positive and this product was well-received by consumers. The Black & Decker MM2000 13-Amp Corded Mower, 20-inch is an ecologically-sound electric push mower designed with reliable electric power in mind and has a user-friendly instant start. 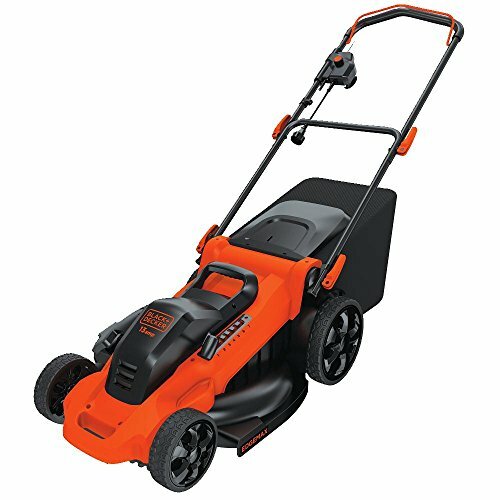 This Black & Decker mower boasts a 13-Amp motor with EdgeMax design for premier edging and a 20-inch wide cutting path. Lawn maintenance is made easy with this clean energy mower. This model is powered by a sturdy 13-Amp motor for cutting through any tough overgrowth. This 20-inch 3-in-1 mower has mulching, bagging and side discharge capability. The EdgeMax deck design allows for a clean, close to the edge cut even near fences and flowerbeds. The single lever 7-setting height adjuster allows for a close cut between 1.5 inches and 4 inches. This model is made with a convenient carrying handle for easy transport. Black & Decker offers a 2-year warranty on this mower. This model has 7-inch front wheels and 10-inch rear wheels for maximum maneuverability and mobility. This model comes with a 13-gallon nylon grass collection bag attached to the mower for easy cleanup. This model includes a user-friendly adjustable handlebar with three positions for people of differing heights. This mower is backed by a 2-year warranty from the manufacturer. The assembly of the mower is minimal and quite simple, it only requires the handle to be attached. Storage is a breeze with this model because it can be folded and stowed away for future use. The body of the mower is sturdy but lightweight, weighing in at 53 pounds, this makes it easy to push and maneuver the mower for most. Because this model is electric, routine maintenance, oil, gas and tune-ups are unnecessary. 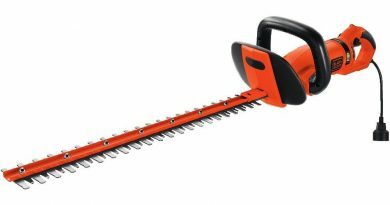 This model is quiet and is not at all loud compared to traditional gas mowers, which means you won’t need ear protection or plugs while mowing. This model has plenty of power to get a precise cut and edges/mulches neatly. This model can be stored vertically in a garage or shed to save precious space. There is no battery to charge, just plug in and go. The 13-gallon nylon grass collection bag is easy to remove and reattach when mulching or cleaning up grass clippings or clumps. This model only has one blade, so trimming and mowing is done without leaving any patches of grass behind. The EdgeMax feature allows the mower to get very close to flowerbeds or fences for a well-manicured lawn. The mower is slanted much like the terrain for a smooth, even cut when mowing. 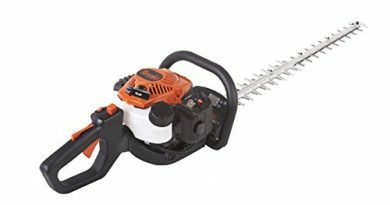 While this Black + Decker model has a lot of great features and advantages, it does have some drawbacks and disadvantages that should be addressed. The electrical cord can be a hassle to maneuver while mowing and an extension cord will need to be purchased, as it is not included. This mower is not self-propelled, so it is a true push mower, which could prove difficult for some users. The design of certain parts of this model could be improved upon with some pieces breaking easily and needing to be replaced early in the life of the mower. Overall, the design of this model could be improved upon, as some users noted that the unit stopped functioning out of the blue or after only a few uses. A few users noted that the mower had issues during the first use. 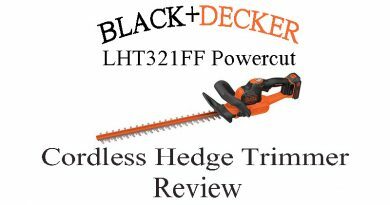 Consumer feedback for the Black & Decker MM2000 13-AMP Corded Mower, 20-Inch was mostly positive overall with just a few negative reviews thrown in the mix. Those that liked this mower said it was easy to operate, a great value for the price, did a superb job with edging and mulching, and had plenty of power to get the job done and the yard looking its best. Reviewers also noted it was easy to push and maneuver around, saved money on gas and maintenance, and was wonderful at saving space when stored away. Some reviewers who had issues with the product noted that it stopped working shortly after the first use. Others reported that the mower broke repeatedly and that they had issues with the warranty and maneuvering the electrical cord whilst mowing the lawn. While only a few reviewers had issues with this model, the majority were pleased with the overall performance and quality of the mower for the price they paid. To sum it all up, purchasing a corded-electric mower can be a great choice for just about anyone on a budget who doesn’t like routine maintenance, loud mowers, prefers something lighter weight, cares about the environment, likes easy storage options and doesn’t mind maneuvering an electrical cord around sometimes. When it comes to electric mowers, it is important to keep in mind how large the space you are mowing is, how close the nearest electrical outlet is, if you would prefer something that has edging or mulching capabilities and what would suit you best personally taking into account the size of your yard and your budget. From the options reviewed above, the Greenworks 18-Inch 12-amp Corded Lawn Mower 25012 received the highest customer rating of 4.7 out of 5 stars making it a fan favorite. 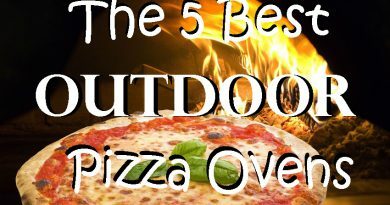 You get the most bang for your buck with this model in particular and the positive reviews are a testament to just that. While the other models reviewed were definitely contenders for a top slot, they fell a little short compared to the likes of the Greenworks 25012 model. 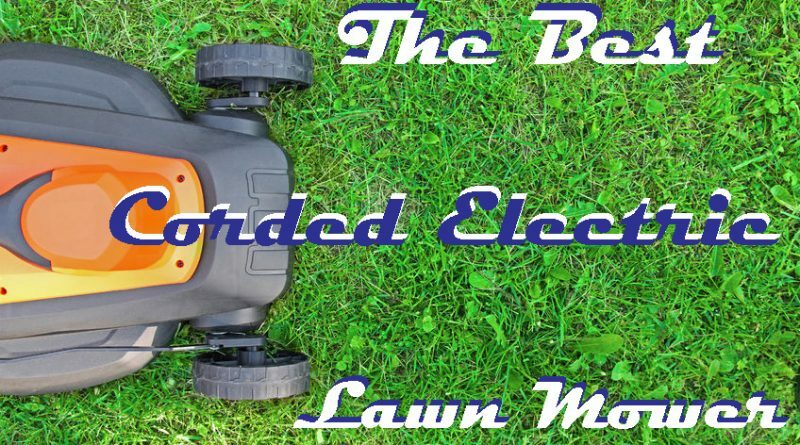 No matter which corded-electric mower you choose, you can guarantee you’ll have a quieter, greener, cleaner, lightweight, easy storage, no maintenance experience, more money in your pocket and a good looking lawn, when all is said and done.